During the past three months, I broke my commitment of writing posts on a monthly basis releasing the names of enslaved persons. Actually, I didn’t blog at all from the end of October to the beginning of January. The Slave Name Roll Project is dear to my heart. I’ll continue to release the names of enslaved persons found in records while researching my own families. 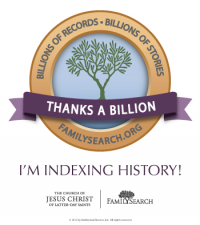 “West Virginia Will Books, 1756-1971,” database with images, FamilySearch (https://familysearch.org/ark:/61903/3:1:9392-HYLL-K?cc=1909099&wc=Q8BW-MZJ%3A179688701%2C179750901 : 22 June 2016), Braxton > Will book, v. 003 1862-1879 > image 13 of 215; county courthouses, West Virginia. First: I devise to my beloved wife Sarah C. Squires all the personal property (Slaves only excepted) of my estate including horses, cattle and other stock on the premises together with all the household and kitchen furniture and farming utensils and library and whatever money, bonds and accounts may be due me at my decease after paying my funeral expenses and just debts for her my beloved Sarah C. Squires, to keep to give and dispose of amongst her children, as she may see fit proper to do or have done. Secondly: I bequeath to my beloved wife Sarah C. Squires during her natural lifetime, All my home Sted place to wit: The 120 acres tract of land deeded to me by Uriah Byrne also the 22 acre tract patented to me the 12 Augt 1818 adjoining the Reeder tracts; also, the residue of the 222 acre of patent not deeded to Shadrack Chaney & wife, also, that portion of the 300 acre tract of patent, lying from the top of the ridge between the John Steel place and my home place, bordering on with the 222 acre tract before named, including them all as parcels above named, will as I suppose make 400 acres, more or less, to her during her natural lifetime, also, I bequeath to my beloved wife Sarah C. Squires, Those I warrant to wit: Leonisa, Emily, Harriet, Anjaline, [illegible], and Margaret during her natural lifetime to be taken care of by her on the place or hired out, as she may think best. “West Virginia Will Books, 1756-1971,” database with images, FamilySearch (https://familysearch.org/ark:/61903/3:1:9392-HYL5-D?cc=1909099&wc=Q8BW-MZJ%3A179688701%2C179750901 : 22 June 2016), Braxton > Will book, v. 003 1862-1879 > image 14 of 215; citing Jackson County, County Clerk, West Virginia. or allot, as the other servants and in the same ways & on the same principles the other servants are. And Fourthly: Having a wish for the welfare & happiness of the servants (all of them, and some of my heirs not wishing to have anything to do with them, ??? have or expect to have any claim on those of my heirs that do or may take care of them and further I entail those Servants to my children and to their bodily heirs not to be liable to be Sold for any debt of theirs ??? Execution or otherwise at any time from among the children & their bodily heirs, Also it is my wish that those of my children who do take care of them and raise them, that at some proper age, Say from 2 to 28 years old, with their consent, they be sent to Liberia Colonized & see appendage to this last will, Having disposed of what property it has pleased the Lord to bless me with in that way and named, that seems the best to me at this time. 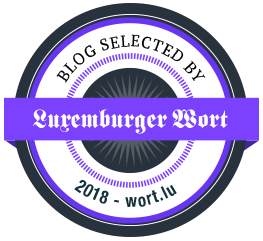 I now appoint my beloved wife Sara C. Squires, together with my son Danl S. Squires my legal Executors to carry out and Settle this my last will and testament as above witness, expressed and directed fully confiding in their probity? & integrity would not wish them to be bound in any other security for the ?? performance of this my last will and testament. And further I ask that if any one of the children or heirs should not be satisfied with these my views of bequest should attempt to alter the same by a law I wish they attempting to do so by actual suit shall be disinherited and their portion of my Estate & divided with the other heirs. I now commend my Soul and body to God, the Giver and Governer of them, resting fully satisfied in the atonement and merits of Jesus Christ in a full and free salvation. Given under my hand and seal the 15th day of November in the year of our Lord 1854. The last will and testament of Asa Squires deceased was this day presented to me as Recorder and proven by the oaths of Allen S. Berry and Asa Squires Jr. Subscribing witness thereto, and ordered to be recorded. In the above will we see: Leonisa, Emily, Harriet, Anjaline, [illegible], and Margaret as well as Leodina, Emily and Harriet. Are the women named Leonisa and Leodina actually the same person? Was the name written incorrectly the first or the second time? It would appear the names were listed from oldest to youngest. If the first three were the oldest, were they also the women referred to as the three old colored women? There is one name which I found too illegible to read. It looks like Tom with a squiggle and then osi. 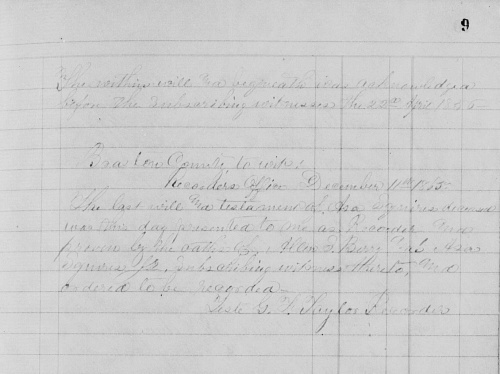 Unless someone else can read this, this enslaved person’s name cannot be released. In the 1860 listing we see three older women age 65, 50, and 48.3 The three males below 10 years would not have been on the 1850. The ages of the remaining five females and one male don’t exactly match with those in 1850. Who gave the ages of the enslaved persons in 1850 and 1860? Could the three women aged 65, 50, and 48 be Leodina, Emily and Harriet? In 1870 there was a mulatto woman named Harriet Squires living in Braxton County.4 She was 59 years old. Could she be one of the two women seen in 1860 as 50 and 48 years old? Having the same first name as the third named in the will, would she more likely be the 48 years old woman in 1860 and now 58, only a year off? I have no proof Harriet Squires was one of women named in Asa Squires will. However, in HH#23-23, two households after Harriet’s, we find Asa’s son Daniel S. Squires with his family. There are no other black or mulatto families in the immediate area. Does anyone recognize these ladies’ names? 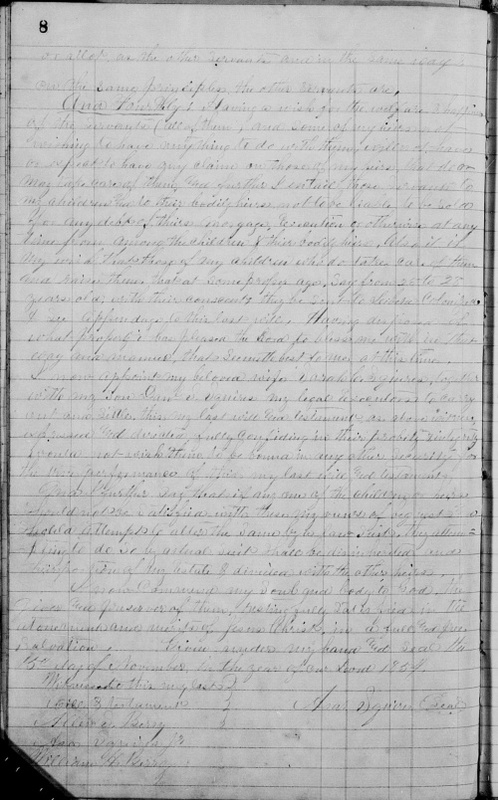 Can someone help decipher the name of the woman who is listed as [illegible] in the title of this post? 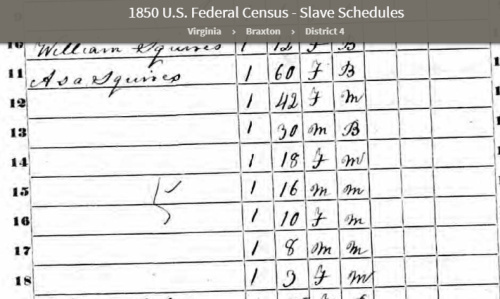 Following my three-part series on the slaves of my 5th great grandfather James Sims during Black History Month in February 2015 I made a commitment to write a post on a monthly basis until I’ve RELEASED all of the names of slaves owned by my ancestors or owned by persons I’ve researched who were relatives or neighbors of my ancestors. These posts are part of the Slave Name Roll Project (About the Project) administered by Schalene Jennings Dagutis who also blogs at Tangled Roots and Trees. What an interesting will. It seems that Asa was almost more concerned about his slaves and servants (do you think they were also really slaves or indentured servants?) than he was about his children, threatening to disinherit those children who contested the will’s provisions—presumably those provisions regarding the slaves and servants. Also, he mentioned that some of his children were not interested in the servants’ welfare. I also found it interesting that he mentioned sending the servants/slaves to Liberia. Fascinating! I admit I had to look up Liberia Colonized as I couldn’t remember studying the history of Liberia while in school. There appears to be a simularity in how the Squires cared for their enslaves persons. And this was not the norm. Asa’s mother Elizabeth chose manumission by last will and testament for her two enslaved persons in 1830 when she wrote her will. His brother Elijah left a will giving his slave Alfred the liberty to choose who to live with. 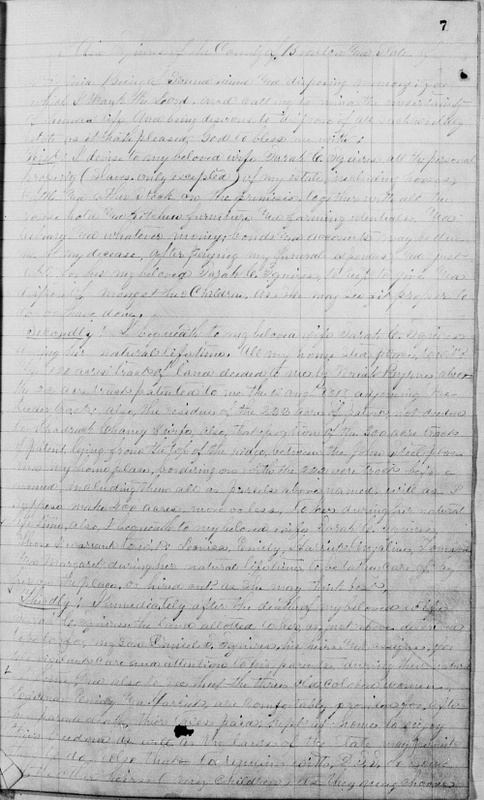 Asa’s will was written before the Civil War and he may have been influenced by the events which brought about this war. Perhaps he was brought up by his mother to treat slaves as servants. In any event, Asa died nearly three years after the Emancipation Proclamation issued by Abraham Lincoln came into effect. Thank you, Cathy! It really provides insights into the minds of slave owners. So often slavery was justified by owners claiming how well they treated their slaves. I suppose that was true in at least some cases. But even so, it doesn’t forgive the clear moral wrong in any system of enslaving human beings, no matter how well they were treated or even loved by their owners. At all times during history we have things which were clearly wrong and few stood up against them. Will we never learn? Cathy I wanted to leave my Comment here in case the Family comes by: Mr. Squires was not playing around. He was very detailed. He was keeping up with the times of the Day. Remember at one point Pres Lincoln talked about colonization and resettlement of our People to Liberia. Frederick Douglass had a lot to say about that. I do wonder if he had some blood ties to them? This was a fascinating will. I’ll take some time tonight to see if I can find other documents to collaborate on that illegible named Enslaved. Thank You so Much for bringing their Names out of the Books and Releasing their Spirits! You Spoke their Names. You didn’t bypass them and for that on behalf of my Granddaddy Ike’s Family, his Descendants we Thank You for their Family yet to see this Blog Post. I appreciate your help and support. I’m glad you added the comment here. Thank you, True. Your Slave Name Roll Project is a great idea! I’ll have to tell all of my friends! thanks! Yes, Lenore, spread the word. It doesn’t take much time to write up a short post when a record is found with an enslaved person’s name mentioned. I try to follow them if possible but this isn’t a requirement. Thank you. Cathy, I too have been remiss in my Slave Name Roll project posts. I don’t have many to work with, as the majority of my ancestors were born, lived and died in the northern states. But, I do have a few in the south who left wills. I have a couple more to work on, that I recently located. Like you I don’t have many ancestors who had enslaved persons. 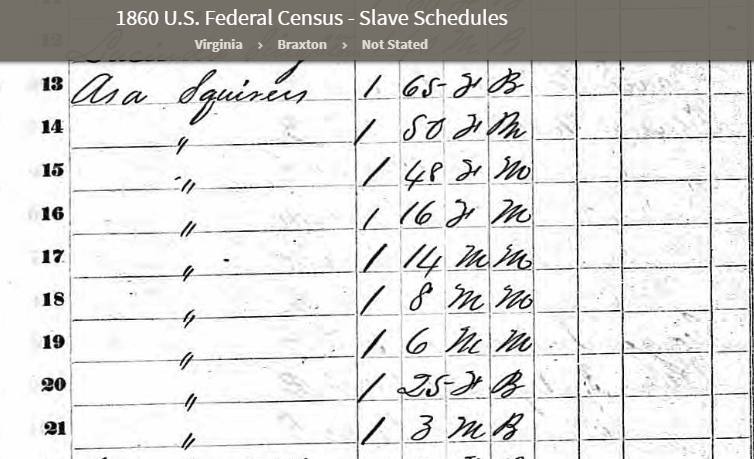 I do a lot of research in browse only collections and note whenever I see a record with names of slaves – the advantage being getting two things done at the same time. I save the link to Evernote with a short note about the record. When my reminder comes up to do a post, I can easily find the records I haven’t yet blogged. Thanks for stopping by, Diane. As always Cathy, Thanks for your hard work and dedication to bringing forth the long lost and forgotten names of those who were slaves! Much Love and Much appreciated! Thank you and you’re welcome, Ta.